Ms. Glover graduated from Sparkman High School in 1974. After attending Calhoun Community College, she transferred to Middle Tennessee State University in Murfreesboro, Tennessee. Ms. Glover had the opportunity to do her student teaching in Quito, Ecuador, at the Collegio Americano. After graduating from MTSU, Ms. Glover began teaching 5th grade at Grace Christian School in Center Point. She graduated from University of Southern Mississippi with a Master of Arts in Education. In 1990, Ms. Glover transferred to Roebuck Park Christian School, teaching 5th grade. While there, she began working on her Administrators Certificate at UAB. 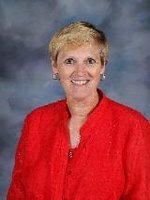 From 1996-2003, Ms. Glover served as Principal of RPCS. In 2004, Ms. Glover joined the faculty of Moody Junior High School as Assistant Principal. After 6 years, she transferred to Moody Middle School to serve as the Assistant Principal.